China produces food for a fifth of the world´s population with only 7% of the world’s arable land, as 65% of its cultures are situated in the dryland region of northern and north-western China. 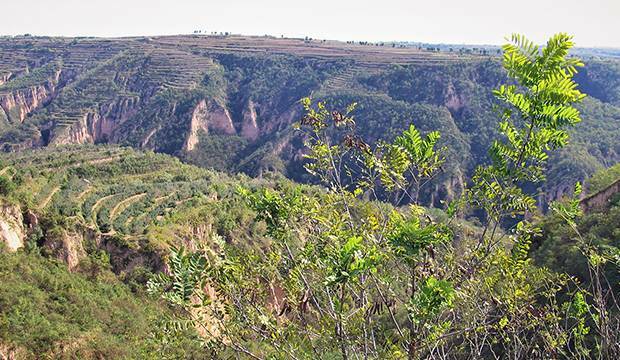 The Loess Plateau is part of this dryland region, an area of the size of France. Loess is a wind-blown sediment, transported by wind from the Gobi desert for millenia. The Three North Shelterbelt project – better known as China’s Great Green Wall – was established in 1978 to increase the forest coverage rate in the Three North Region (an area of 1.48 million km2) by up to 15% by 2050. But, while soil erosion and the sediment load of the Yellow River have decreased, the water discharge of the river, the third largest in Asia, has significantly declined.